The effects of what we eat show apparently. “You are what you eat”, they say. A growing number of overweight, obese people, as well as those who are suffering from diabetes, heart diseases and cancers are evident. That is because of the modern world lifestyle where fast foods are widely supported. For some who wants to maintain a good health, they have a wide variety of diets to choose from. While there are many kinds out there and all promise overall wellness, perhaps the most uncomplicated one is the raw food diet. Raw food is simply defined as foods that are not cooked or any process where fire is applied. 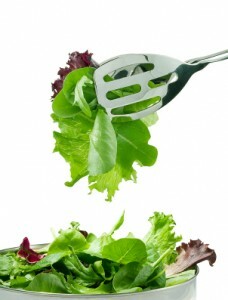 A raw food type of diet is centered on consuming, fresh and unprocessed food as the major part of a diet. Basically, if between 75% and 100% of the overall foods consumed are raw food; it is considered as a raw food diet. According to nutritionists, while cooked foods do have the nutrition, the heat caused them to be unhelpful for our bodies to benefit from. Cooking is known to diminish the food’s nutritional value. That is because if those are heated on 118 degrees F. or more, it is said to defeat important food enzymes that are needed for digestion. It also causes chemical modifications in the food building up several, harmful substances and additional free-radicals that are connected with many of the fatal diseases at the present time like heart ailments as well as cancer. 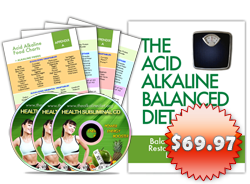 Furthermore, nutritionists believed that eating raw food plays a great part in “alkaline forming” of the body. That is because of the ph or “potential hydrogen” level of the food. It’s a fact among the medical experts that our blood’s PH level is a very vital part in a human body. PH represents our blood’s hydrogen ion count. 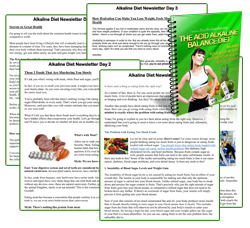 The number depends whether the blood is more or less alkaline. 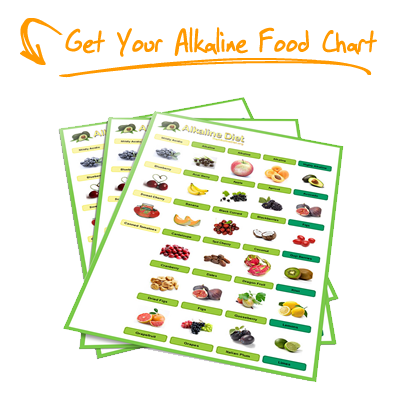 An “alkaline forming” body chemistry is determined by the foods that we eat. That is why raw food is gradually gaining momentum in the health industry where many attests to the fact that raw food promotes health benefits and can be manifested physically, even psychology and emotionally. A raw foods diet consists of mainly fruits and vegetables, grains, seeds and nuts and excludes animal-based products such as meat and dairy. Digestion and absorption are affected by cooked food in a way that often results to allergic and related body reactions. Such effects rarely happen when one is on an all-raw diet. Cooking foods kill the helpful enzymes that are supposed to help the body and replace it instead with loads of saturated fats and cholesterol when cooked with oil along with salt or MSG. According to experts Dr Wigmore and Dr Earp-Thomas, cooked food is linked to the development of tumors and cancers. What’s worse is that it also feed their growth! Fully raw diets are highly suggested in fighting various kinds of cancers and heart diseases that are considered as an epidemic around the world. Generally speaking, cooked food has addictive qualities and influences weight gain as well as obesity. Raw Foods have Nutritional Content as they are loaded with essential vitamins and minerals as well as healthy phytonutrients. Raw foods are included with increased levels of enzymes, which supports the digestive processes as well as to add good health in other ways. Eating raw foods is preferable because we lessen the need for our body to generate its own digestive enzymes. This releases the energy which the body can then utilize to fulfill other essential work, such as healing, cell repair and renewal, fighting off foreign materials, metabolic regularization of the body and many more. A raw food diet has lower levels of damaging substances such as trans- fats, saturated fats and cholesterol. Instead, it is loaded with higher levels of the healthful ones like fiber and potassium. Eating raw foods consequently contribute to less chance for acquiring fatal health conditions such as cancer and heart diseases. A regular raw food diet boosts the immune system and treats light-headedness, allergies and common colds, as well as reduced sick days. Additionally, not only do nutritionists allow the intake of raw foods in high quantities, they strongly recommend it! Raw foods can be consumed as much as you can without worrying about being overweight but instead, enjoy a healthier, more energetic body. Raw diet gets rid of the harmful toxins that contributes to skin aging therefore, a diet rich in raw food encourages antioxidants that play a big part in having and maintaining a younger-looking complexion. 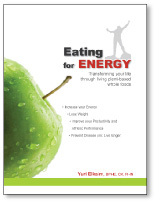 Yuri Elkaim is the author of Eating for Energy and his book is bestseller in many bookstores and even in Amazon. In his book, you will find out how to start a raw food diet the right way. You are literally eating for energy! Yuri is a holistic nutritionist who has helped over thousands of people on the raw food diet. You can watch him on television over at his website. Now that you’ve learned about the harmful effects of cooked food and thee health benefits of raw food, perhaps you’re asking yourself how to get started on this kind of diet. The good news is that it doesn’t need complexity in your part. In fact, not only is it convenient to have raw foods as a major part of your diet, but it’s also cheap! Here are some suggestions you can use. A raw diet is purely vegan so cut down on meat products including dairy and go for lots of fruits & vegetables along with seeds and nuts. If you can’t live without meat, there are various alternatives available such as organic whole chicken, meat, and eggs. Raw fish like sushi is also preferable. Even dairy products like milk, cream, cheese, and yoghurt have organic equivalents as well. Make sure your daily diet consists of at least 75% raw foods. Plan your daily meals. For example, for breakfast, you can have fruits and fresh juice instead of coffee or cereal. For lunch, you may have a little portion of organic meat combined with vegetables like salad. As for the dinner, you may have cooked food in small quantities. Finally, you can have nuts and fruits for your snacks during the day. Part of a vegan diet is avoiding too much sugar, gluten based products like wheat as well as salt and MSG so be cautious about that too. When shopping for food, many supermarkets has a section that’s dedicated to organic and “green” products so make sure to get most of your foods there on your next trip to the market. To sum up, raw foods may have the notion of being too dull as it gets rid of all the delicious looking foods you love. Part of it is true but the problem is that the regular foods we eat can take a toll on our health in the long run. First, you have to understand that the efforts of keeping a raw food diet are really worth it. Try it for yourself and sooner or later, you’ll be able to reap the rewards fully. Not ALL raw diet exclude meat and dairy, or other animal products, or is completely vegan. I am on a raw diet, and I don’t even eat vegetables, nor do I eat grains. I will eat raw meats, eggs, and dairy, as well as fruits and honey, all raw, unpasteurized, uncooked, and organic, grass-fed, free-range, cage-free, wild caught, and so on, and benefit from these foods far more than I would from vegetables. And I know plenty of other raw foodists who are also not vegan or vegetarian. In fact, you raw vegans rather irritate me, personally. Everytime I am lucky enough to find a raw treat such as raw chocolate bars, raw cookies, raw brownies, raw cheesecakes, all of it is vegan! It is so annoying! I am not vegan, I do not want vegan cheesecake, I want a raw cheesecake made with real, whole, raw milk! A raw milk chocolate bar made with raw milk! A raw cookie made with raw eggs! Instead I get a dry and tasteless raw cookie made with almond and cashew that ends up making me painfully sick and actually puke! All I want is a raw treat that I can eat to satisfy my cravings for cookies and chocolates in a healthy way, and instead I get these grain-filled tasteless and dry, nasty vegan treats. Blech. But that’s just me, personally. As for all raw foodists, please don’t assume all of us are vegan, because we aren’t.